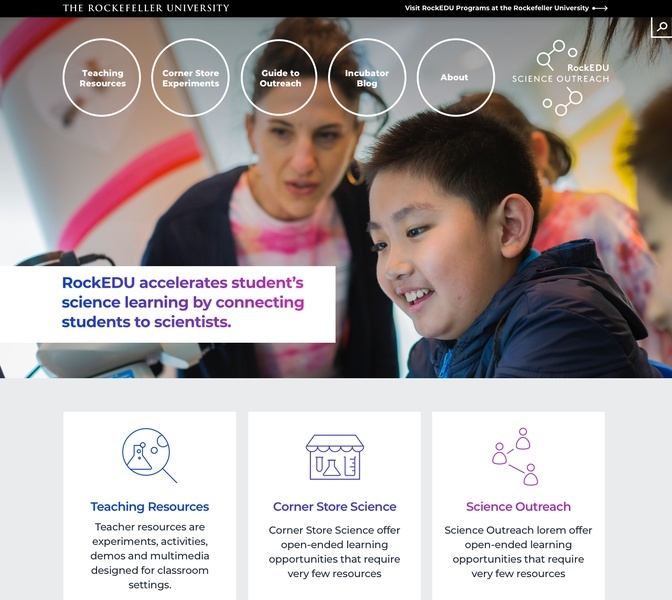 RockEDU is a ground-breaking project to bring some of the world’s greatest scientific minds into classrooms and kitchens. It helps scientists to design exciting scientific experiences that are tailored to young scientific minds. It helps teachers to discover the perfect experiences for their classes. 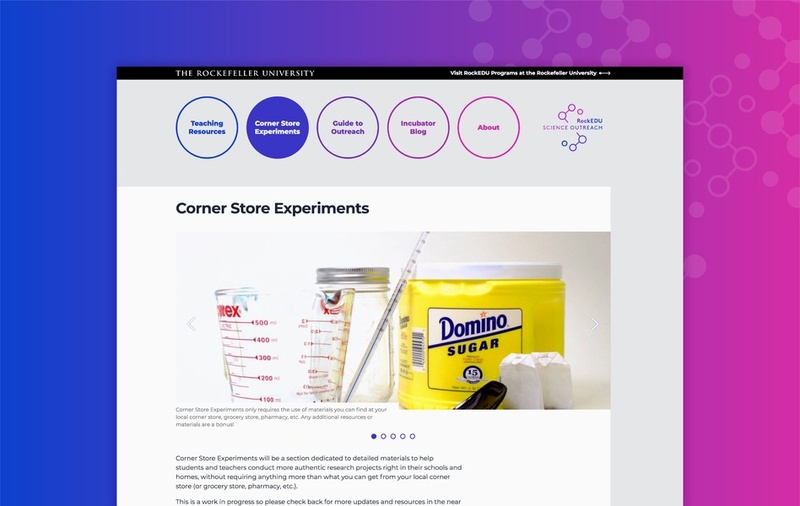 And it helps students find ways to experience science, with only supplies from a local corner store. The website presents a trove of resources for teachers, students, and scientists. The central challenge was to craft a structure that teachers could easily browse and understand—but which would also open doors to extensive and customizable content. This was achieved through a centralized Teaching Resource Center, with carefully crafted filters and searches, to enable teachers to find resources that fit their precise needs. 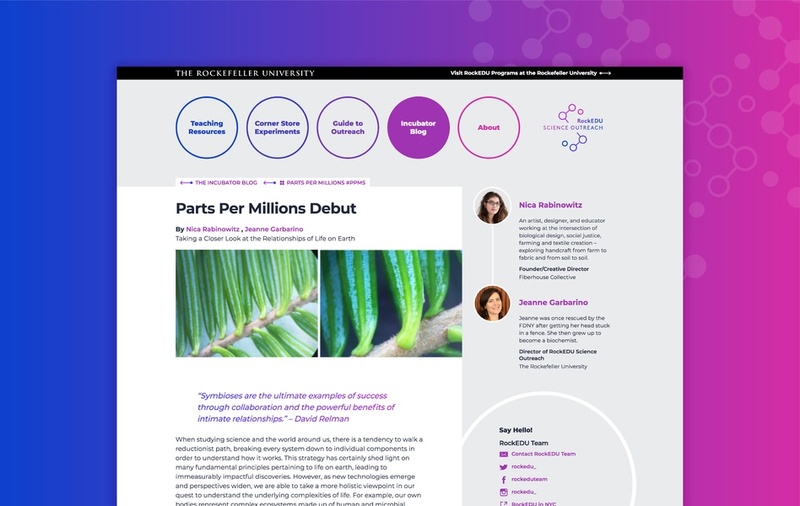 Our customized content structure allows teachers to dig into the areas of the content that interests them—and then to download documents, save them to Google Drive, or share them on Google Classroom. The central theme of molecular diagrams—those connected circles and lines we discovered in high school textbooks—we made a site that feels contemporary, playful, and scientifically relevant.